Expired 5mo ago . Last validated 6mo ago . Used 12 times. 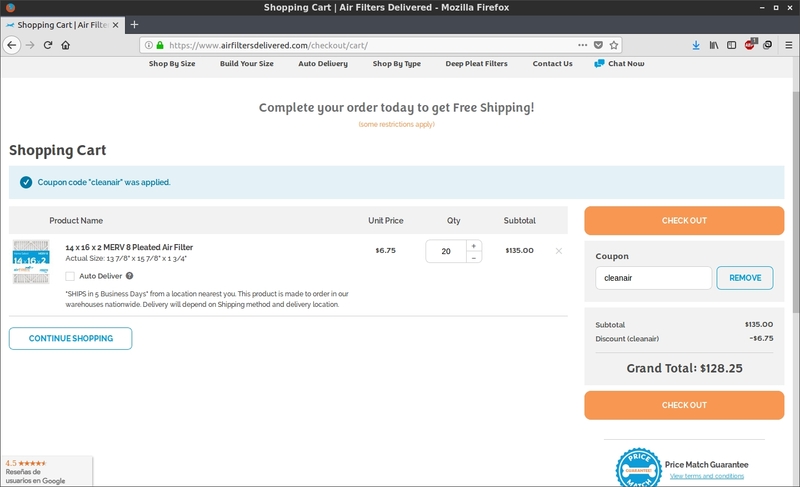 Adrian Alberto I am validating that this deal works as described, use the promo code CLEANAIR at checkout to claim your 5% off. 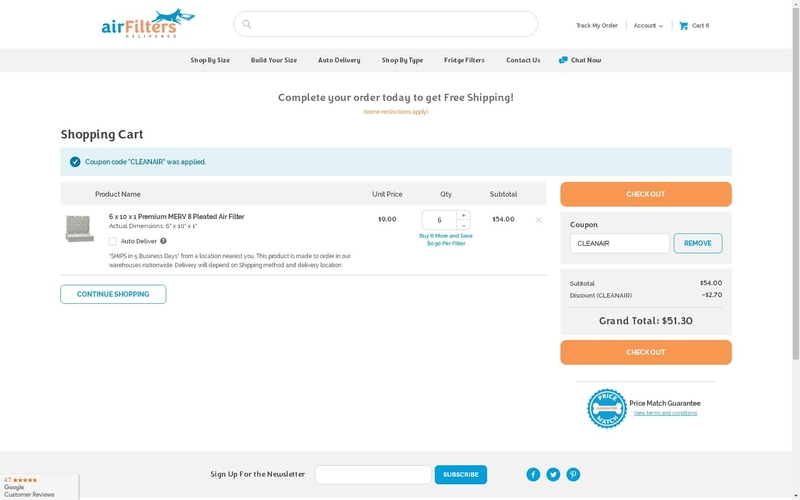 Sonia Ramirez Get 5% off your next order. 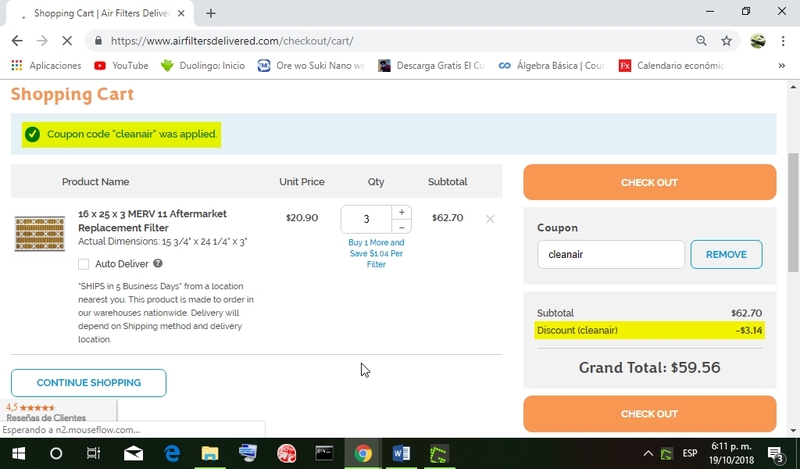 Use the coupon code CLEANAIR to claim your discount. Exclusions may apply to this offer. 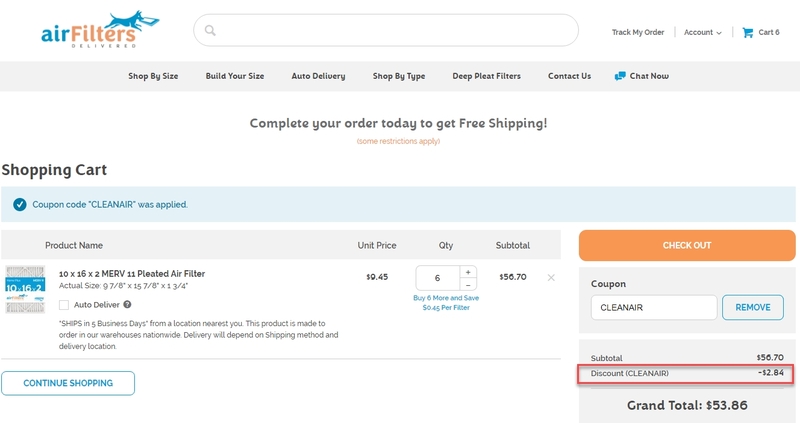 Sonico This promo code is working as described, just copy and paste the code during checkout to claim 5% Off Your Order at Air Filters. Ramyi Parra I am validating that this deal works as described. 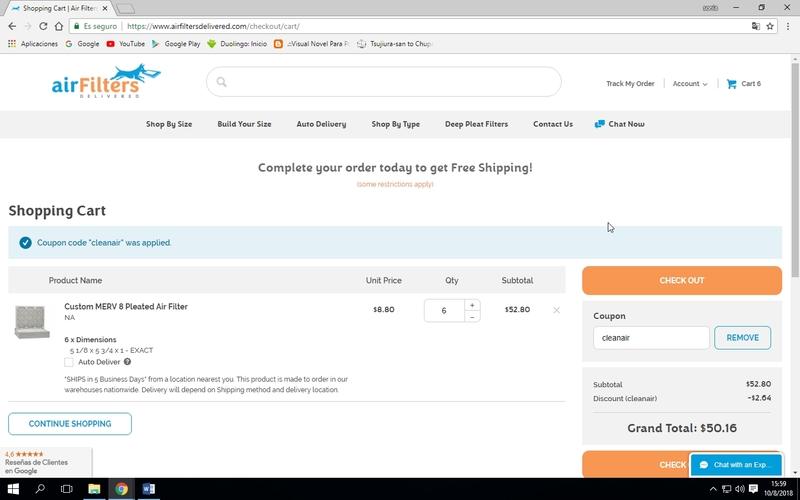 Just apply the promo code at the shopping cart and get 5% Off on your order. 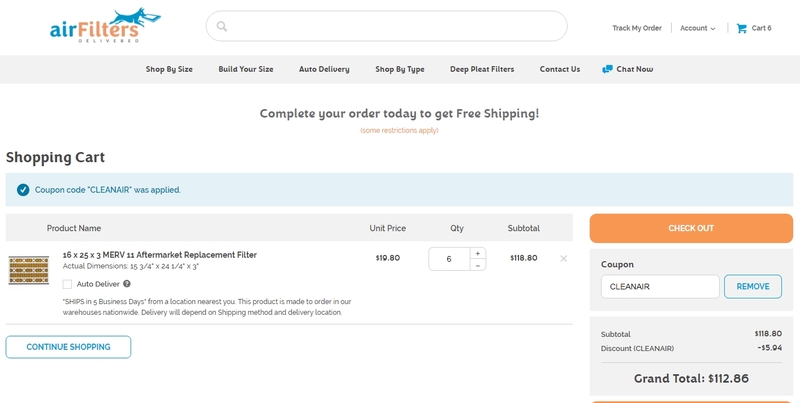 MIRIAN SALAZAR Get 5% Off Your Order at Air Filters (Site-wide). Just enter this code at checkout to apply the discount. There may be some exclusions that will apply to this deal.